Always tired, dizzy, sluggish? The cause may be low vitamin B12 levels. Depression, memory problems, crushing fatigue, and muscular pains all occur when you don’t have enough vitamin B12 in your blood supply. You’re not alone. Millions of people your age feel exhausted, run-down, disoriented and achy. And that’s only by mid-morning. For many, these symptoms occur from vitamin B12 deficiency anemia. People as young as thirty can develop B12 deficiency or pernicious anemia. You’ve had weight loss surgery. Gastric bypass operations used to be a last resort for weight loss. Today, they’re much more common. If you’re overweight, then you can easily receive bariatric surgery to shed the pounds. 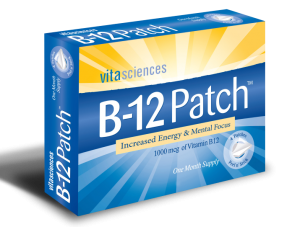 Unfortunately, many patients aren’t prepared to supplement with vitamin B12 for life. Some weren’t warned about vitamin B12 deficiency; others don’t heed their doctor’s warnings. This is important! If you have received any kind of stomach surgery ( for weight loss, Crohn’s disease or ulcerative colitis), then you must take large doses of vitamin B12 each day. If you have received any kind of stomach surgery, then you must take large doses of vitamin B12 each day. You take medications for diabetes or gastro-esophageal reflux disease (GERD). Certain medications prevent you from properly digesting vitamin B12 from the foods you eat. Metformin, protein pump inhibitors (PPIs), antacids, long-term antibiotics, and antidepressants are on the list. If you take any of the medications on the list below, then please also take extra vitamin B12. Your vitamin B12 blood test results are wrong. The national standard for testing for serum levels of vitamin B12 is often wrong and inefficient. If your B12 is plummeting from pernicious anemia, then a blood test will tell you to get more vitamin B12 supplements, ASAP. But if your B12 levels are moderate to low, then you may get a false negative test result. Even though you suffer from fatigue, memory problems, gloominess, brain fog, and painful numbness. That’s because the blood screenings don’t differentiate between “active” and “dormant” vitamin B12. The first helps to protect your nervous system and boost energy. The second sleeps in your gut and does nothing. So your doctor may tell you that your vitamin B12 levels are okay, but he’d be wrong. Your doctor may tell you that your vitamin B12 levels are okay, but he’d be wrong. Your doctor knows nothing about vitamin B12 deficiency. Sad but true: many doctors get little or no training in detecting the earliest signs of pernicious anemia. The idea of a vitamin “curing” an illness is, in their opinion, laughable. Yet it was only one generation ago that pernicious anemia was a lethal threat. And it took vitamin B12 supplements to stop the debilitating symptoms. How Much Vitamin B12 is enough? Your doctor may not take your symptoms seriously. He may refuse to prescribe enough vitamin B12 to treat your symptoms. If that is the case, then you need to buy extra vitamin B12 supplements online. You follow a vegan diet. Your body doesn’t manufacture vitamin B12, and you can’t get it from vegetables. The only rich sources of vitamin B12 are from chicken, beef, lamb, and seafood. Eggs, cheese, and milk also have some vitamin B12. If you follow a vegan or vegetarian diet, then you need to take vitamin B12. You suffer from autoimmune disorders. 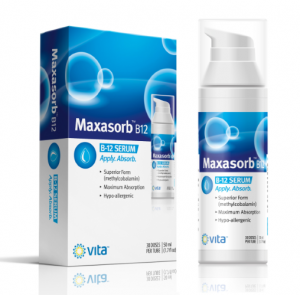 For many, vitamin B12 malabsorption happens because of a faulty immune system. People who have autoimmune disorders are most likely to suffer from vitamin B12 deficiency. This happens because missing intrinsic factor, a hormone needed for B12 digestion. If you have lupus, Crohn’s disease, or other autoimmune disorders, then you are at risk. Don’t rely on faulty B12 blood screenings. Rather, take extra vitamin B12 supplements each day. You are older than 30 years of age. As we get older, our ability to digest vitamin B12 weakens. Vitamin B12 levels plummet with age. By the time many people reach their 40’s, vitamin B12 is a must. For great health, supplement with vitamin B12 in your 30s and 40s. By the time you reach the age of 50, vitamin B12 usage is mandatory for survival.